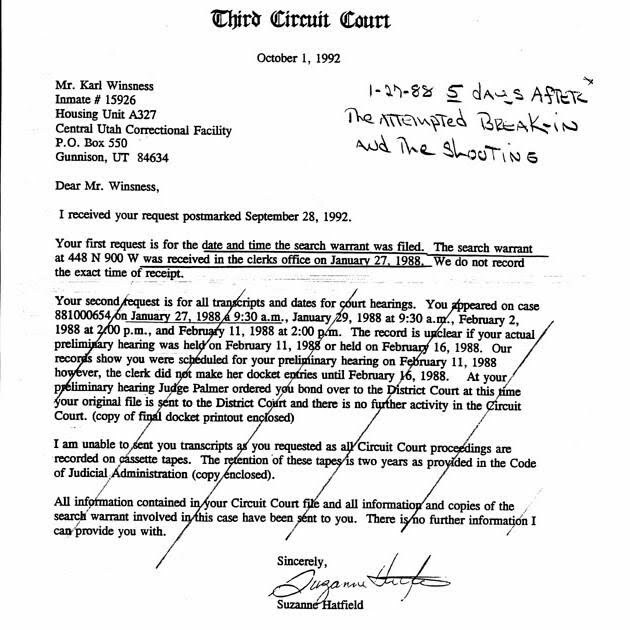 I don’t know exactly how these warrants are issued (other then good cause being given under oath) or filed, but I would think that they would or should be filed when they are issued or first thing the next morning and not five days later, on the day you are going to court or being arraigned. With all the other lying and misconducts, at this point who knows if they even had a legal warrant, when they were kicking in me door [you can’t see or read the date]. Certainly (if you believe their Trial Court testimony about them giving notice) then it wasn’t carried out as ordered/ commanded by that Judge/warrant. Is a warrant ‘legal’ that wasn’t carried out legally?